It’s no secret that email marketing is an essential marketing activity in every successful ecommerce store. Not only it helps building a stronger relationship with your customers, but it also increases your revenues, profits and most importantly, customer lifetime value. However, building a list and sending the occasional newsletter blast to everyone is not enough. You also need to have the right segmentation and automation in your email marketing software, because timing and relevance are more important than the size of your email list. In this article, we will look at 7 different ways ecommerce stores can use email marketing to boost their sales and profits with no additional marketing budget. Offering a coupon in exchange for a visitor’s email before they even add anything to their cart is the first and most important tactic that every ecommerce store should do. You get a visitor’s email, which you can use to market to them later. Usually when a customer gets a coupon, their Average Order Value is higher than those without a coupon. Even if the visitor won’t buy anything with the coupon, you can have a sequence email them after 3 days that their coupon is expiring and they should take action. Especially the last part can bring in considerable extra revenue, because many visitors might opt in to get the coupon but end up not buying anything. When they see 3-5 days later that their coupon is expiring, they will be more inclined to visit your ecommerce store and shop something to make use of that coupon. You know those customers that bought something once and then never bought anything else again? Every ecommerce store has them and in fact, they are usually more than half of the store’s customer base. The thing is though that you can reactivate some of them. You haven’t been on our store for some time and we have missed you. We’d like to see you back and we are offering you free shipping to welcome you back! Just use the code XYZ. Just a simple email, with no images etc so it can feel more personal. The last sentence is optional, but it will show that you care about your customer service and your customers in general. Step 2: For those that didn’t claim the coupon, simply send them a reminder after 7 days or so, which will let them know that the coupon is expiring and they should take action now. It’s a very simple and effective email sequence. Don’t you wish your product pages had more reviews? Everyone does. Very few customers bother to leave a review and even less often when things go smooth. Reviews help show social proof to your products and improve your SEO because it’s unique, user-generated content (UGC) and UGC is valued by Google. With the email marketing tactic I will show you, not only we will increase our reviews, but we will also drive more sales! The tactic is very simple, 5 days after someone makes a purchase from you, you should send them an email with what they bought (inserting dynamically the products in your email) and asking them if they liked it and if they would like to leave a review on your product page. Below that, you will also let them know that if they take the time to leave a review, they will also receive a code for 10% off their next purchase, or free shipping. Now, not only we are enticing them to leave a review on the product page improving our social proof and SEO, but we are also giving them back something for their time and effort. This coupon will entice them to buy something else since it’s an offer, making them more likely to stick to your ecommerce store and buying more products from you. Email marketing is in an ideal way to reduce your cart abandonment. In order to do that you will have to capture the email with your email software provider the minute the visitor adds it during the checkout process. If they are a returning customer, of course, it’s much easier. According to Email Monks one of the top reasons customers abandon their cart is due to high shipping costs. One way then you can reduce your cart abandonment is by sending an automatic email to those who abandoned it 12 hours later that the items are still waiting in the cart and that they can use a coupon to get 50% shipping discount, or maybe offer them another item to buy in order to qualify for free shipping. Sometimes there will be stock that you want to get rid off in order to free up space or for any other reasons. This is a great opportunity not only to free up your inventory, but also earn a profit from it. The execution though is very important and it’s a trick I learned from Neville at KopywritingKouse. You have to choose the top 2-3 SKUs that you want to sell as soon as possible. These might be the ones that have been sitting for a long time on the shelf. Then you should send to your customers an email mostly with text telling them that you have these SKUs that you have marked down for clearance. Also, you should tell your customers a few details about these products to make it obvious why they should buy them. You can try sending the email without any images and with images to see which one performs better and which one has better deliverability. Also, you can try adding a PS at the end of the email to entice them to look at your clearance category for more bargains. Then as a final step, you mark people who purchase these kind of offers in your email software provider so you can later segment and send them more offers or bargains that you might have. According to Shopify, receipts have an open rate of 70.9%. That’s insane and it’s a great place to add an offer as most people will see it. But what kind of offer you could add to a receipt considering this person already bought from you? Of course, a refer-a-friend invite! This is ideal because they already bought from you, so they like your ecommerce store and this makes it highly likely for them to recommend it to their friends. Why not make improve the percentage of those who do by incentivizing them? It’s very simple, you should add at the receipt a code to invite a friend with which both your customer and their friend get free shipping in their next order! Win-win-win. 70.9% of your customers will see this and it’s a great incentive so you can get more customers very cheaply. In summary, email marketing and sequences are an essential marketing tool for every ecommerce store. 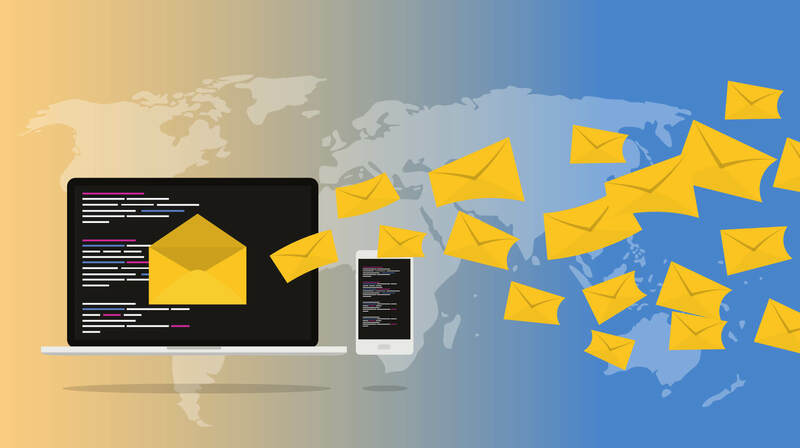 There are many email marketing platforms from which you can choose, so you can set up your ideal automations and increase your revenues and profits on autopilot. I hope my post helped give you some inspiration to try any of the above tactics. For any questions or insights please share them in the comments below and I will get back to you. For the past 6 years, Alex Chaidaroglou has been performing digital marketing for a number of businesses. Currently, he is the Director of Altosight price monitoring platform, serving clients both from ecommerce and manufacturing. He also shares his digital marketing insights on his blog, WeeklyGrowth.